Forty years ago, Ann Druyan, along with future husband and famed astrophysicist Carl Sagan, set out to create one of humanity’s greatest legacies. Her mission? Developing a phonograph record to represent the entire planet. Nature, language, music – the essence of Earth was etched into the golden records affixed to the Voyager spacecrafts, with graphic instructions in the case of extraterrestrial contact. We got the chance to speak to this interstellar communicator of culture and science about Voyager, STEM, and American culture in this exclusive interview. 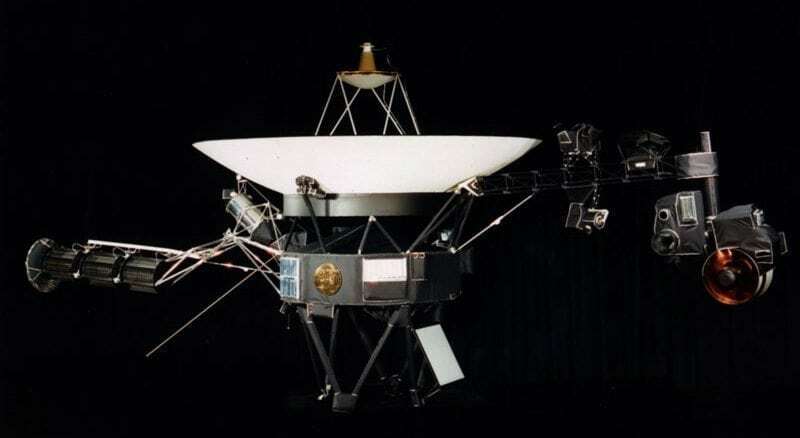 Innovation & Tech Today: With the 40th anniversary of Voyager, do you feel a particular nostalgia for the project? I know it’s gotten a lot of attention in the press. Has it stirred up any memories for you? Any feelings? Ann Druyan: You know, there’s something about human beings that love these round numbers and this false pattern recognition that seems to mean so much to us. So, yes, I do feel something special. I guess it’s spurred by the astonishing global outpouring of love and tenderness towards the project and its aspirations. I feel like our haunted little planet, so deeply troubled at this moment, is appreciating that some time in the not-too-distant past there was an enterprise which aspired to represent the whole planet in the best possible way we could. And so, yes, I feel it all the time, but I’m feeling it now more than ever. I&T Today: There’s been a growing awareness of the importance of getting girls and women involved in STEM fields. In your experience, what are some more concrete steps we can take to involve young girls and women in STEM? Ann Druyan: More movies like Hidden Figures wouldn’t hurt. More popular entertainment which tells the stories of some of the women who’ve yet to be celebrated for the roles that they played in helping us to better understand nature. There are many such figures who we’ve basically ignored who are coming to light. I see us as a story-driven species, and I also see popular entertainment, whether it be movies or television, as the place where you can change minds. You can open hearts, you can get people to see what’s right. I also think we need to take public education, which has fallen into the most reckless and destructive hands at this moment, and we need to wrest it back from the kind of people who are running public education today. You know, Carl Sagan and yours truly were products of a first-rate public education, children of people who couldn’t afford to send us to private schools, and wouldn’t’ have even thought about it…I see that as the strongest single lever arm, besides popular culture, to turn people towards the scientific perspective, towards logic, towards reason. I&T Today: Would you say that science and anti-science are fairly balanced at this point in our culture, or is one side winning over the other? Ann Druyan: In my opinion, I feel like there’s a coalescing global community of people who recognize the power of science, who prefer its awesome capability to reveal the stunning complexity of nature, who recognize that scientists around the world are sounding the alarm on climate change. I think more people are actually aware of the scientific perspective than ever before. I think the assaults on public education in our country since late January of this year are certainly reason for concern, but I think that there’s a general awareness on the part of the public, which if anything is greater than ever. Previous article Toynk Mystery Box, lets see whats inside shall we?